The County Centers of Camden, Chowan, Currituck, Gates, Pasquotank, and Perquimans of the North Carolina Cooperative Extension Service cooperate in the planting of their variety trials as the Northeast Ag Expo. These six counties work together as a team to obtain varieties, organize and plant variety trials in each of the counties. The variety trials are a joint effort of the Extension Centers, cooperators (farmers that assist with the trials on their farms), and agribusinesses. By coordinating the variety trials, the same varieties are evaluated over the entire northeast corner of North Carolina so that the growers have a set of data that is useful to them in selecting varieties that are well adapted for their region. 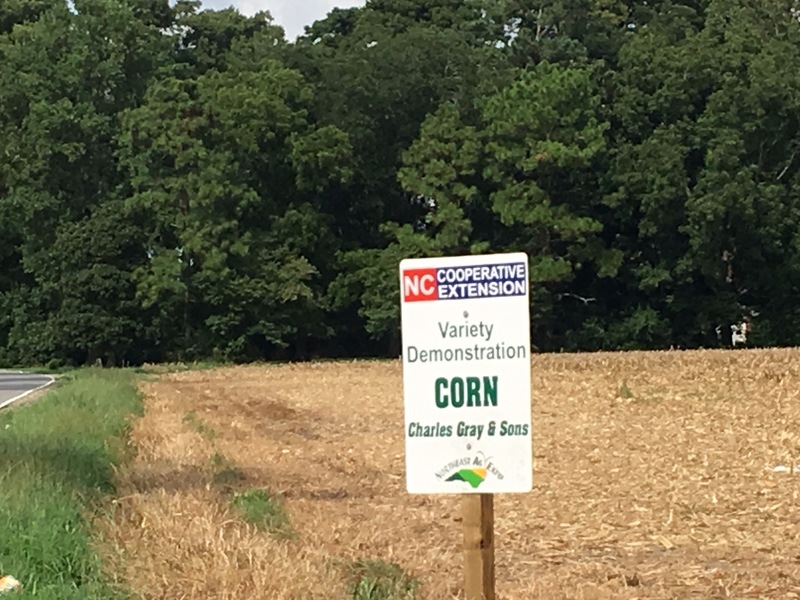 The 2018 Northeast Ag Expo corn variety trial located in Pasquotank County was conducted with Charles Gray & Sons. Located on Body Road, it was planted on April 14, 2018. There are a total of 45 varieties from 16 brands of corn. View the results of the Pasquotank variety trial as well as 4 other locations. The data is also available in a graph to help you to get a better idea of each variety’s performance at a glance. The data is also available through the Northeast Ag Expo website. We do appreciate the cooperation of the Grays and other farmers that helped to make this data possible. 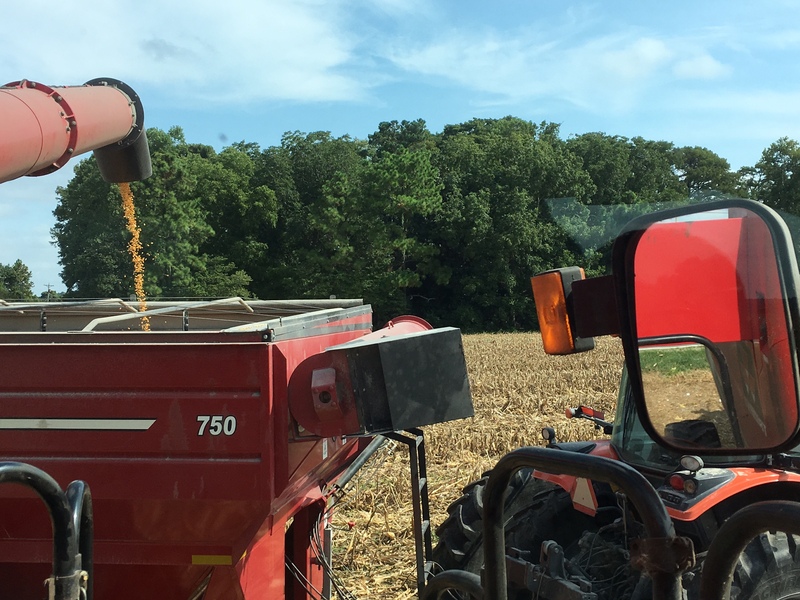 Corn being transferred from combine to grain cart with scales to get the weight of the corn used to calculate yields. Michael is operating the combine as Mr. Gray takes the weights. This is one of 5 corn variety trials that the NE Ag Expo had across northeast NC in 2018. Road sign at the Pasquotank corn trial, which was one of 5 trials located over northeast NC.